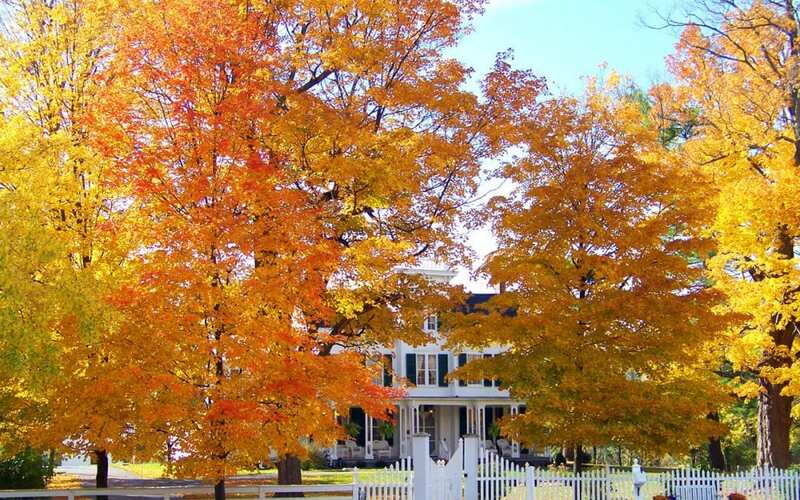 Seasonal Archives | American Home Inspection Services, LLC. Fertilizing strengthens the grass and helps it endure summer’s heat and drought. A slow release fertilizer is best when applied in early Spring, and there are different fertilizers depending on whether the lawn is in the north or in the south. Keep feeding the lawn every 6-8 weeks until the fall. Some fertilizers come with additives to control pests and help the lawn retain water. Though the grass may be growing quickly by summer, it still should not be mowed more than a third of the height of the grass blade for a healthy summer lawn. Tall blades are better able to send their roots deep into the soil to find water, and they also shade the soil beneath which keeps the ground cool and discourages weeds. Though some homeowners think it’s a little unsightly, it’s best to leave the grass clippings on your lawn after mowing. They provide valuable nutrients that contribute to a healthy summer lawn. If grubs are a problem when it comes to the lawn, the earlier they are dealt with the better. One natural way is to add beneficial nematodes at about 50,000 per square foot of lawn. Milky spore powder also takes care of grubs, as does 5 percent rotenone solution, pyrethrin, and neem oil. As for weeds, it’s best to eradicate them while they’re still young. Some weeds can be treated with an herbicide that doesn’t hurt the grass, while others are so invasive that they need to be pulled up from the roots. During the midsummer, it’s a good idea to check how deeply the water penetrates the lawn after it’s watered. The best time to water the lawn is early in the morning so the soil is able to absorb the water before it evaporates in the hot sun. American Home Inspection Services is Southeastern Michigan’s premier service provider for home inspections, commercial inspections, radon testing, mold inspections, mobile home inspections, and home watch services. Contact us to schedule your appointment. It’s a good idea to get into the habit of doing routine propane leak checks. About once a month, you should turn the propane on and pour soapy water over the connections. You’ll notice bubbles if there is a hole in any of the lines. If no bubbles are present then there is no leak. If you notice bubbles you should replace the line or tighten the connections to the tank. It is always a good idea to use a cover over the grill whenever it isn’t being used. Exposure to the elements can cause rust and damage the grill. Rust can ruin a grill and cause it to become non-functional. Most grill manufacturers make specific covers for their grills. It is worth the investment to purchase one. Keeping your grill clean is the best way to ensure it lasts for years. After each time you cook, it is important to use the wire brush to clean the gunk off the grates. Wiping down the exterior with soapy water is also a good idea to keep the grill properly maintained. Deep cleaning of the grill only needs to be done every couple of months as needed. Deep cleaning consists of actually removing the burner protectors and wiping debris from the burners. Finally, you’ll want to get rid of all the gunk in the bottom of the grill. All of this can be done with soapy water and a sponge. 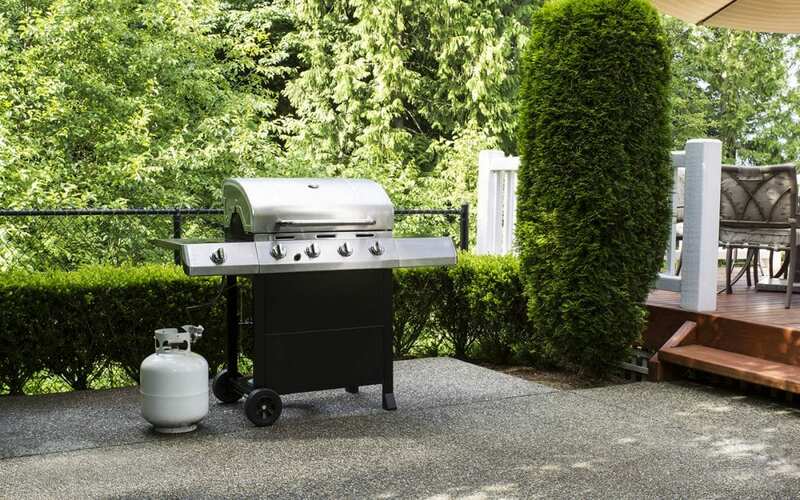 By using these tips to maintain your gas grill, you can ensure it lasts for years worth of cookouts. The key to a long-lasting gas grill is proper care and maintenance. By inspecting your grill for propane leaks, keeping it covered, and cleaning thoroughly, you can expect your grill to last for years. American Home Inspection Services helps home buyers, home sellers, and homeowners in Southeastern Michigan know everything they can about their home. If you would like to schedule a home inspection service, click here to contact us. Many people believe spring cleaning is only about cleaning out closets, dusting off sports equipment, or digging a path through the garage. However, it’s also a perfect time to check and see how your house has fared during the harsh winter. You may find damages that need repairing and the yard will need prepping for spring and summer plants. Here are 7 spring home maintenance tasks to help prepare your property for the warmer seasons. Termites swarm out of their colonies beginning in March and lasting until May or June in order to find new territory for a colony. When you see a dark cloud of swarming insects, call a pest control company immediately. If you feel comfortable, climb up a ladder to get a closer look at your roof. If you see anything that looks less than perfect, you may want to bring in a professional home inspector to inspector to evaluate the condition of the roof. 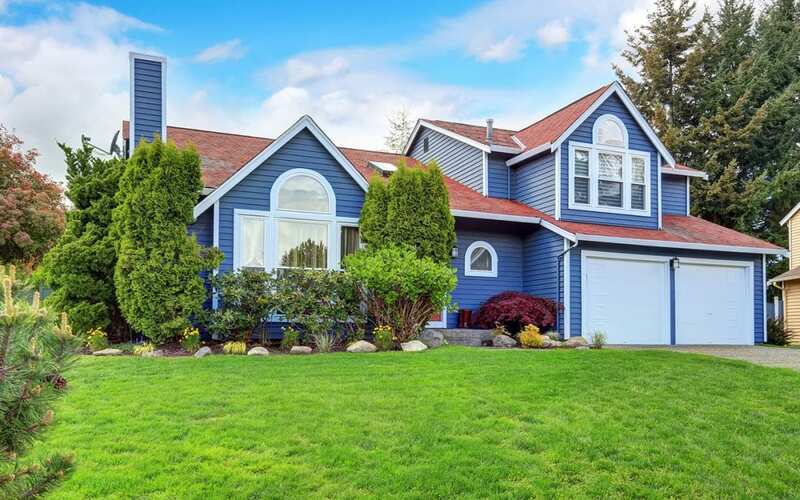 You’ll be looking for curling shingles, missing shingles, the bottoms of metal pipes that are damaged, and generally anything that doesn’t look right. Be sure to take photos in case you decide to file anything with your homeowner’s insurance. If you need repairs or an entirely new roof, make sure the roofer you hire is licensed and insured. While you are up there, notice the gutters. Are they all still attached to the roof? It’s important to repair any areas that may have come loose, and give them a good cleaning. Otherwise, rain may find its way into your foundation causing mold and mildew, and it may also rot the wood of your eaves. Pressure wash the siding on the house or hire a pressure washing service. This keeps mold and mildew from getting a foothold. Also check wooden stair rails on porches, the wood on the deck, and any wood on the property such as pergolas or wooden pathways through gardens. Replace weak or loose parts. As part of spring home maintenance, have it treated by a professional. Wood around windows and doors should also be checked. Clean it, prime it, and paint it if it is looking ragged. Wood that isn’t strong and primed is an open invitation to termites and bugs. Asphalt and concrete suffer in winter, too. Cracks in driveways and sidewalks, paths through gardens, or the deck around a swimming pool can develop into major issues. Address them when they’re just cracks instead of craters and you’ll save a lot of money down the road. Look at the foundation floor, walls, and concrete. 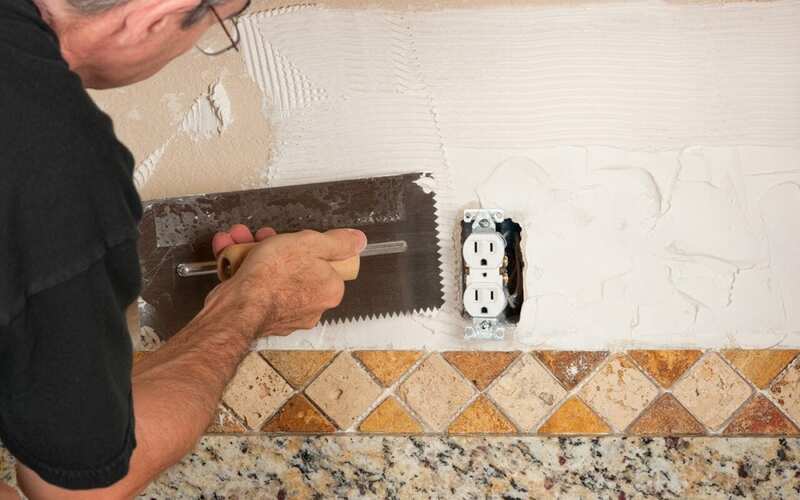 If there are cracks, buckling, or anything that doesn’t look right, call a professional immediately. If two quarters will fit into a crack, then your slab or foundation needs help. When you press the button, the cool air comes on. That doesn’t mean the system is working properly, though. Efficiency could rest on such a simple thing as a filter. Be sure to have a professional look the system over from the unit outdoors to the ducts indoors. Trees hanging over the roof are trouble. Trim them back or remove them if they look like they could fall on your house. Check other vegetation. 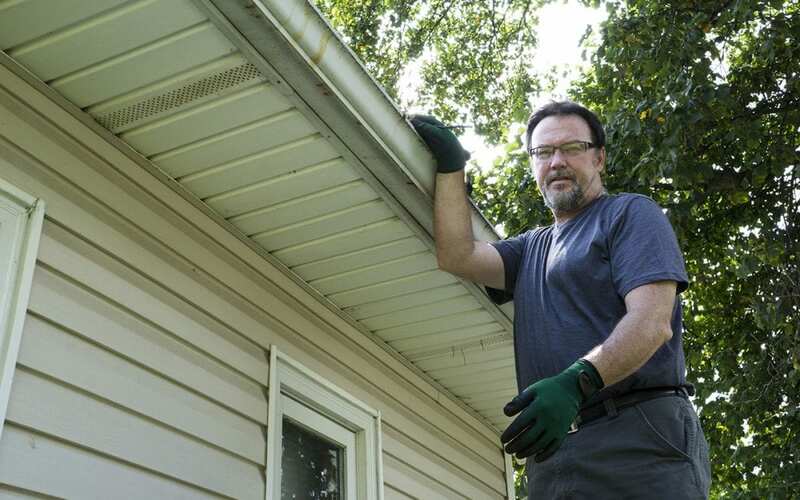 If it grows up against the house, it could loosen the mortar in bricks or damage your siding. Trim back everything and pull all vines off the side of the house. American Home Inspection Services provides Southeastern Michigan with certified home inspection services. Contact us to book your appointment. Winter is here, which means that if you have a fireplace, you’re probably using it quite a bit. It’s important that you follow all the necessary precautions to keep your fireplace safe when doing so. Your fireplace should be a source of comfort and warmth; you don’t want things to get out of hand. It’s a good idea to install a photoelectric smoke detector close to your fireplace to increase fireplace safety. You may also want to install an ionization model which is better at detecting large fires. It’s also a smart move to put a CO detector near your fireplace, not just by the rooms you sleep in. Glass fireplace doors tend to have vents that can let carbon monoxide re-enter the room if there is negative pressure in your home. If you are using your fireplace, it’s important to know of any potential hazardous buildup inside. Look up into and around your fireplace, using a flashlight to light your way. You should call a chimney professional for help if you find cracks or gaps of any kind or a buildup of soot. If you see black stuff inside, that’s called creosote and it’s highly flammable. You won’t want to try cleaning it out by yourself, however, so call in the pros. It should be easy to open and close your damper. If there’s resistance or a blockage, it’s possible that some sort of animal or bird is nesting there. Be sure to bang on the damper before opening if you suspect this is the case, otherwise you could end up with an unwanted surprise guest in your living room. Have your chimney cleaned professionally if there are any signs that wildlife has taken up residence there. If you need to go the route of hiring a pro to ensure your fireplace safety, look for someone with respectable credentials, such as certification from the Chimney Safety Institute of America. A certified chimney sweep should carry a top-of-the-line camera fitted with LED lighting that will allow him or her to get a good view of what’s going on inside of your chimney, including places you wouldn’t be able to view without this equipment. Before you start up a major blaze, build a smaller fire with just a few logs made of seasoned hardwood. This will ensure that the first fire you build burns safely. Start by opening the damper and letting the flue warm up. You don’t want to start a fire while there’s still cold air in your chimney since the downdraft could draw smoke into your house. Before starting your fire, light a rolled-up newspaper in the fireplace’s opening until the air starts to rise. This step to keep your fireplace safe is of particular importance if you’ve got a flat-screen TV mounted above your fireplace. After your fire has begun to roar, put a candle on the mantel. If the candle starts to melt, then you’ll want to find another place to put anything that could be damaged by heat, like your electronics. If the mantel or the walls grow too hot to touch or if smoke is present anywhere inside your house, including in your attic, then contact a chimney professional as soon as you can. 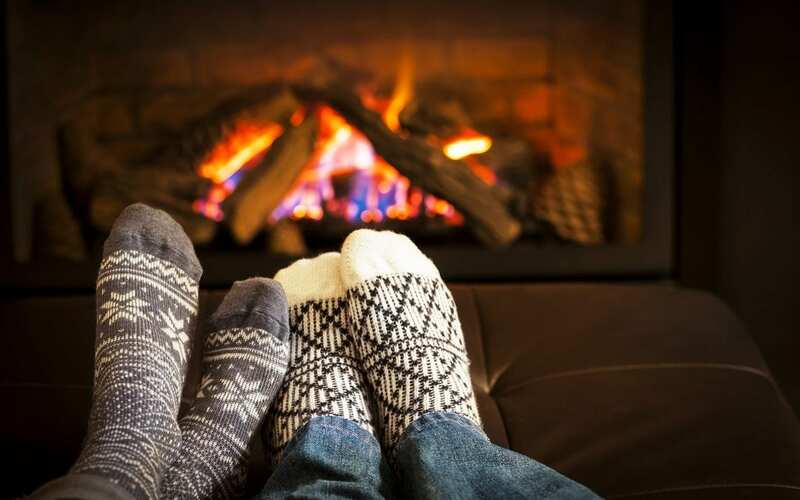 For more tips to keep your fireplace safe check out this article from HGTV. American Home Inspection Services serves Oakland, Wayne, and Livingston counties in Southeast Michigan with home inspections and related services. Give us a call today at (248) 459-7007 or request your appointment online.